The Old Shebbearians’ Association (OSA) was formed in 1908. Close links between the Association and Shebbear College have prevailed ever since. Jackson Page, at Shebbear from 1912-15 and master 1921-60, encapsulated widely shared Shebbearian sentiment when he said, “To many of us, the OSA and the College have long seemed one family”. The seamless list of OSA Presidents is prominently displayed beside the entrance to the Memorial Hall, flanked by photographs of former Headmasters and other long serving members of staff. A number of the College governors are Old Shebbearians. The OSA believes that friendships forged and values learnt at Shebbear are of enduring worth. It therefore aims to promote and foster bonds between Shebbearians of all generations, past, present and future; to offer help to Shebbearians in need; to perpetuate links with the school by keeping members in touch with developments at Shebbear; and to offer support to the school where it can. What has the OSA done for the school? In addition to major benefactions from individual Old Shebbearians such as the Beckley Wing, the present library, two cricket pavilions, the first tennis courts and, perhaps most importantly, purchase of the acres on which the school is built, the OSA has raised and donated funds for many projects over the years, including the Memorial Hall. In 2012/13 a further donation of £5000 was made for refurbishment of lighting and other improvements to the Hall stage. Many of the prizes distributed on Speech Day bear the names of their Old Shebbearian donors. In earlier years the Association made a substantial contribution to the Sixth Form Centre and provided £6000 towards the Music Block opened by the distinguished pianist John Lill in 1995. £3,300 was paid in 2005 to secure safe storage of the school archives. Another area of support is seen in the contribution from 2012 of £500 per annum for five years towards purchase of !st XV rugby shirts and other sports kit. The OSA has also responded to requests for more limited help from current pupils and recent leavers. Two histories of the school, by Pike in 1953 and Fairchild in 1987, have been commissioned and funded by the OSA as well as some smaller anthologies which contain historic or memorable items culled from the Shebbearian and which provide a commentary on the school’s development from small beginnings. Old Shebbearians will always make time to discuss their careers with pupils who may be interested. 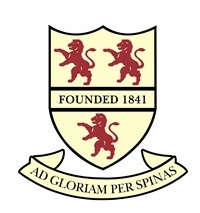 Contact with the school is maintained in numerous ways: the President of the OSA represents the Association at College events during the school year and takes the chair at Speech Day; the Visitors Book outside the Headmaster’s study testifies to a regular flow of old students revisiting; and of course sporting fixtures with OSA teams (including netball for which the OSA donated a cup in 1996). What does the OSA do for Old Shebbearians? Since 1908, continuously, the OSA has held an annual reunion in London. From time to time events are held at the College and at other West Country venues: the latter currently include a golf day at Holsworthy and a strong OSA presence (with financial support) at Bideford RFC sponsors day. In 2012 a Michaelmas Ball was held at the College in partnership with the Friends of Shebbear College, a memorable and very successful innovation. These social gatherings bring together not only old Shebbearians of all generations, but also those with a rich mixture of experience now broadened further by the increasing number of Old Girls who attend. Such occasions are primarily designed to promote fellowship, but at a time when young people have more difficulty than ever in finding employment, reunions offer an additional opportunity to ‘network’ and this too can be useful. The Old Shebbearian War Memorial Fund was created in 1924, raised by subscription and legacies from old Shebbearians. It exists to help fund scholarships for selected young old Shebbearians with their further education (and may occasionally be drawn on to help current pupils). This website features numerous present day and historical components including OSA Facebook and Linked In pages, photographs in Flickr and, of course, a link to the College website. New content, photos, video clips and links are welcomed. The Headmaster is always a guest at formal functions and his ‘reports’ at these constitute another way in which old Shebbearians are kept abreast of College news and events. Shebbear has a remarkable record of continuity and attracts unusual affection among its alumni. The continuity is illustrated by the fact that Mr Weale is only the ninth Headmaster since 1864. Unfortunately we have no figures to show the number of second and third, or fourth, generations of Shebbearians. But they are considerable. The OSA hopes to perpetuate these fine traditions for many decades to come while accommodating changed circumstances for both the College and future Old Shebbearians. One of Shebbear’s most redoubtable sons, Henry Down (always known as ‘Orator’), said in 1915 that the Association can only be kept vigorous by the constant infusion of new blood, and it was sincerely to be hoped that all pupils, as they leave Shebbear, would not fail to become members. By doing so they would keep the “chain unbroken”. After more than 100 years the chain holds – and Orator’s emphasis on the importance of new blood remains as true as ever.